2. Liam Hemsworth and Dora. 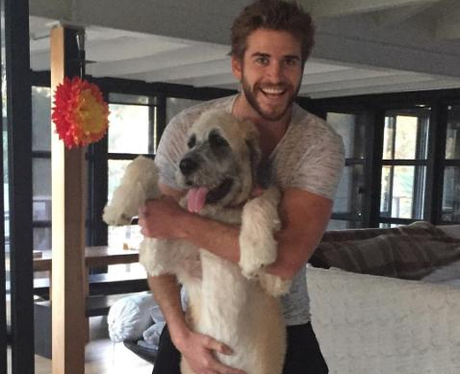 Liam Hemsworth looks ecstatic cuddling his new Rescue Dog, she's named Dora the Explorer!